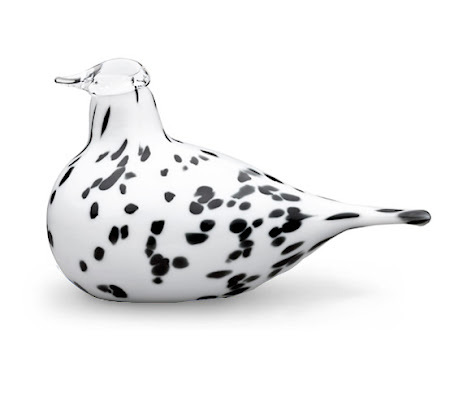 Reminiscent of a fireman's dalmation pup, Oiva Toikka's Dalma glass bird is a stunning collector's item that is individually mouth-blown in Finland. Toikka Dalma is currently 20% off. And as a special holiday promotion, use code IT10 for free shipping and insurance and we'll also send you a free 50th Anniversary Commemorative Toikka mug with Oiva Toikka's sketches on them until 12/31. Specify blue, grey or moss in the comments section at checkout. Order now.